It's been awhile since I went for a food review eh? Well, thanks to Tony from JohorKaki, the Ma Cherie bloggers get the extended invitations too! 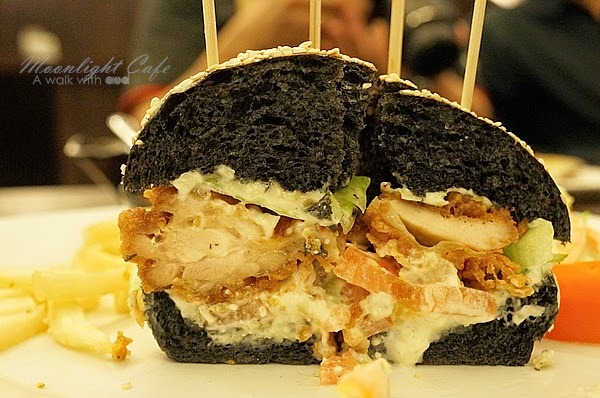 In conjunction of a new menu, Moonlight Cake house thought that it would be good to let the people know that they are no longer just a cake house. Yes, they serve decent food other than cake now! Wanna have a look at the whole new menu? You know what to do, Walk till the end with me! *Whenever its food post, it means heavy photos, enjoy! 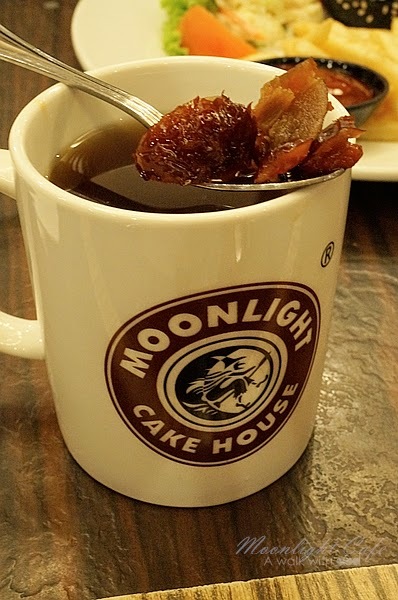 I am assuming all Johoreans know about Moonlight Cake house hence I am not gonna give a long introduction on it eh. I will just let the food (photos) talk ya! 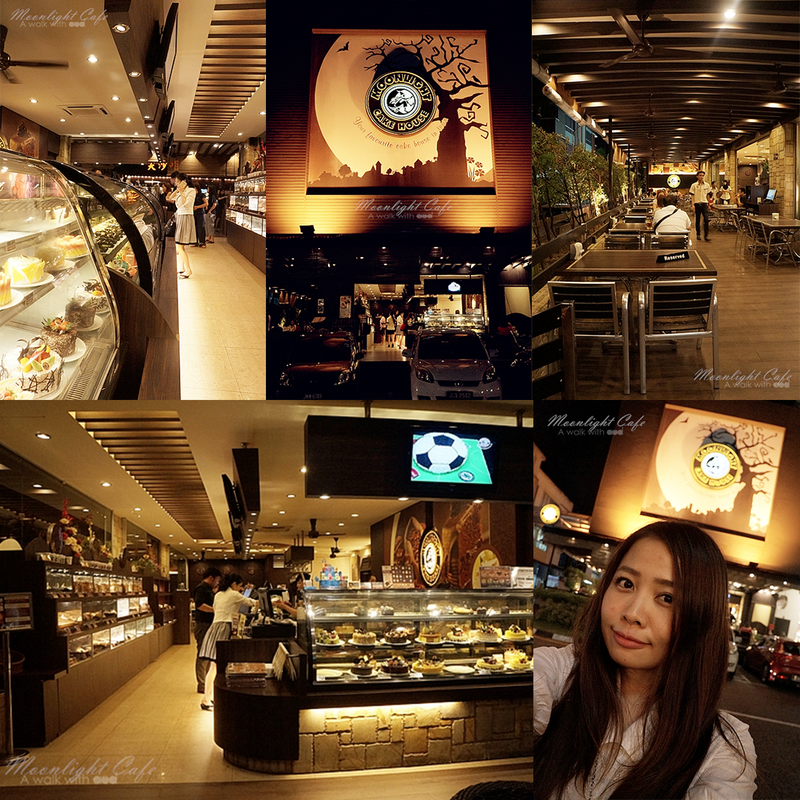 They have 6 branches, the one we went is the HQ at Taman Sutera. 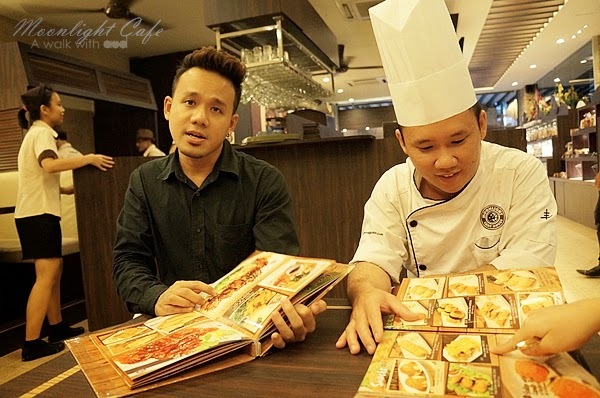 Here is the person in charge Mr Boon Lin (on the left) and the master chef behind the dishes Chef Zhao (on the right). They introduced us what's special, what are the must try. 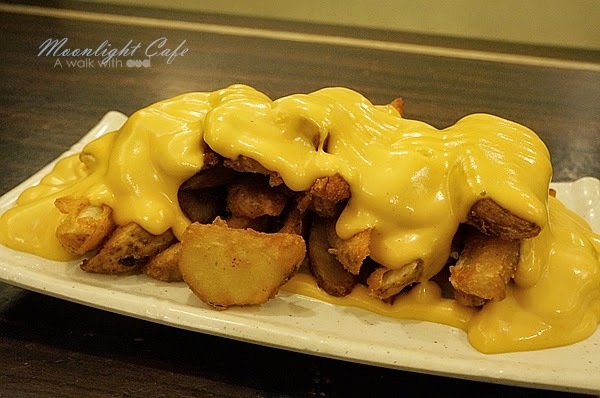 I love cheese, and I love potatoes (hashbrown, wedges..) so tell me, how can I not go crazy over the cheesy wedges?! And seriously, I feel this taste even better than KFC!! The whole plate was finished in a blink of eye and the waitress kept away the empty plate! Why? there's still so much cheese sause on it, I want the cheese one leh! I am not a fan of Capelin Roe because I dislike the feeling when they "popped" inside my mouth. Lol but this one definitely smells good enough making me wanting to try. Oh wow! 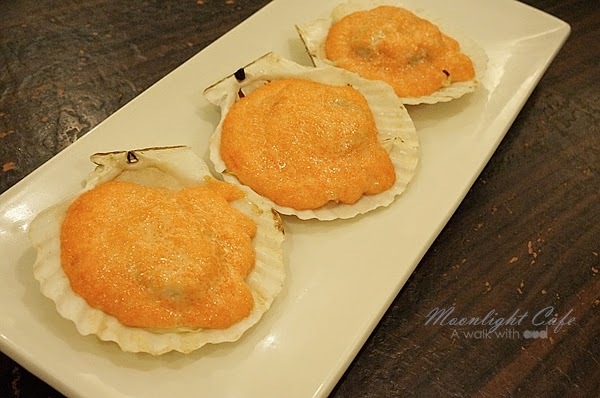 Look at the fresh fatty scallop!!! It's big! 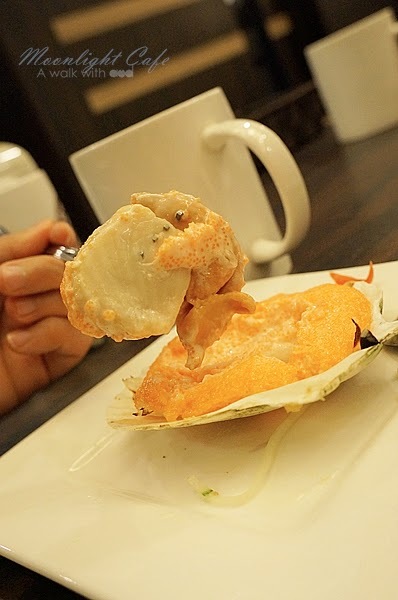 There's a layer of onion ring below the scallop to keep the fishy taste away, how thoughtful the chef is right? I bet kareshi will love this! He is a scallop and Capelin Roe lover! This is like a combination of both of his favourite! Must bring him here to try next time! But meanwhile, I help him eat first. Ha! You know what? Many overseas (western) bloggers don't understand how Asian bloggers work. 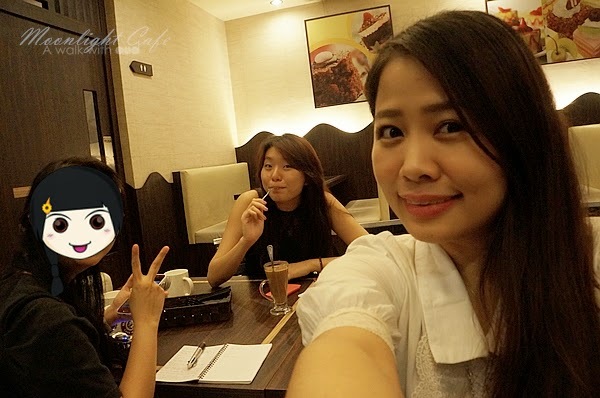 Well, this is how Asian bloggers at work. No joke. No ones touches the food until everyone has a satisfied photo. I was damn famished, seriously! 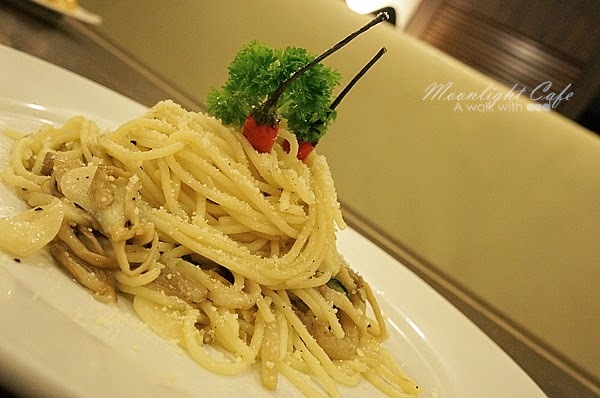 I love aglio olio (in heavy taste) but this I feel is not spicy and not enough garlic taste. 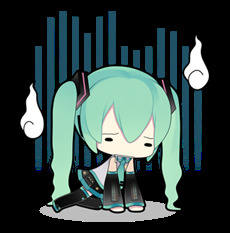 But it's already too heavy for Ler who don't really like food with garlic. So if you have a normal taste preference, this will be good but if you are like me, then it's maybe not the best choice. Oh my! Did you see the Cheese on top? It's the same cheese sauce for the cheesy wedges! 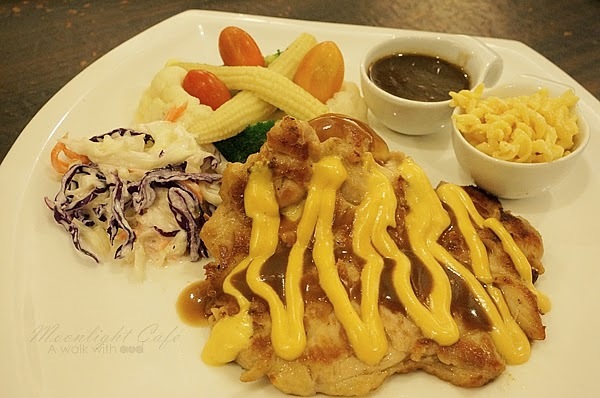 I only had a slice of the chicken chop but the chicken is tender and well marinated! I like to eat it with the black pepper sauce though. 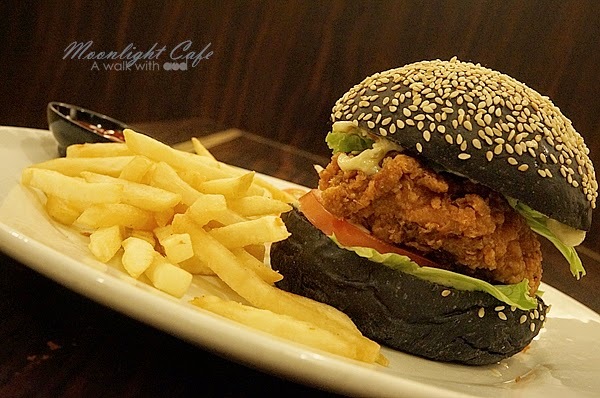 Coming up next is the latest food trend of the era- charcoal burger! Oh, look at the crunchy yet juicy chicken slice. Mixed with special mayo sauce it can never goes wrong! With Ler and Eunice. It was my first time meeting Eunice because she is still a student! It's really nice to meet you girl! 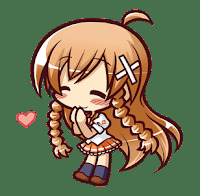 As usual, the shy Ler has her face covered up with her self design chibi sticker. Okay, enough with western food! 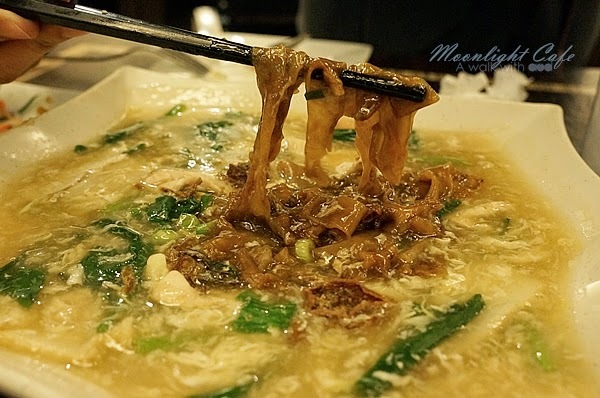 Now let's embrace with some local dishes ya. 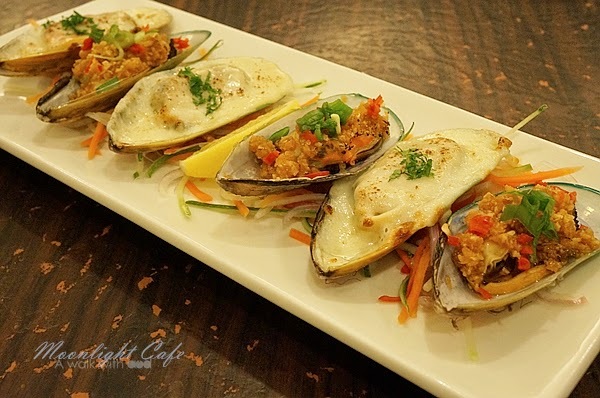 You can see how much effort Moonlight has put in to the new menu by trying their best to balance the varieties of food they offer. Don't fancy western, no worries you have plenty of local food too! I personally don't really like this dish because, I can not eat the rice!! 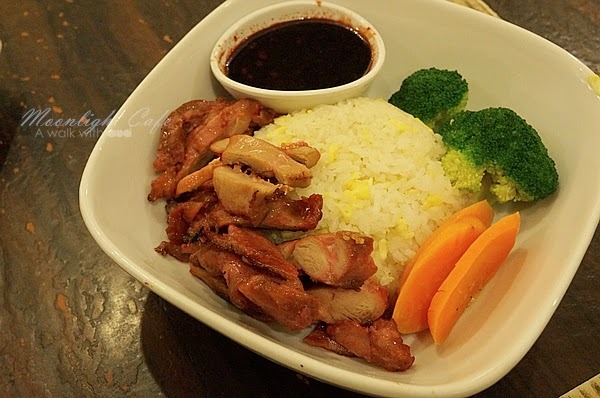 But I did tried the honey chicken, for a second I thought I was eating char siew because it really taste like one but rest assure, it is not. Moonlight Cake House is Halal. Well, talking about my favourite dish of the night? It gotta be this. Oh and the cheesy wedges! Ha! 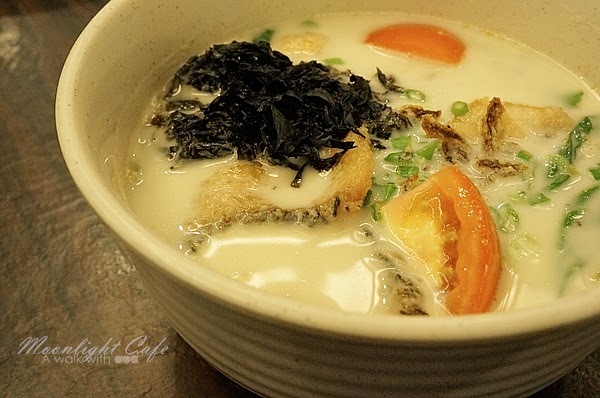 The soup is milky as milk was added in to bring out the freshness of the fish slice but rest assure that it wasn't very "milky" like you are drinking milk, the proportion is just nice! The deep fried fish slice was nicely fried, hence its still fresh and juicy! Oh, talk about it and I am craving for it now! Ya, right now!! The last dish we had was off menu. It used to be in the menu but was removed now. 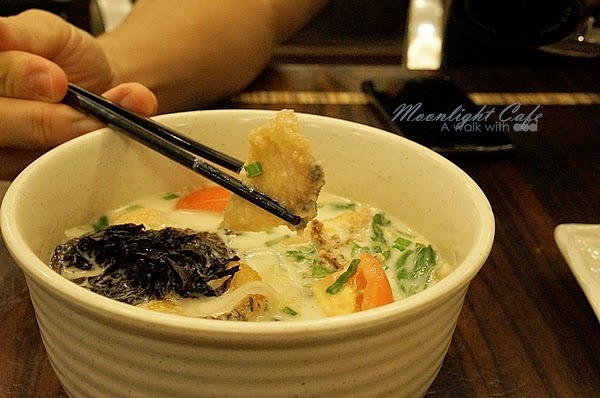 Thanks to Boon Lin's special request, we got to taste it for like the one last time? lol. When I say "we" got to taste it, I don't mean I was included because, remember? 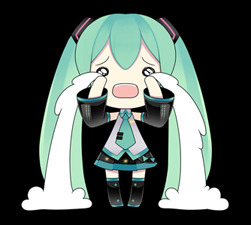 I'm allergy to egg. Hence I can only watch them savour this the so called their best dish of the night! Can I cry?!!! By the way, how can a meal complete without a drink right? My drink of the night, and it turns out to be the favourite of the night! It was made by wolfberries, dates and honey. I somehow taste a bit of longan too! It was so nice that everyone else started to order the same drink as mine! lol. This is purposely made in a clear glass so that we can have a clear picture of its ingredient inside. 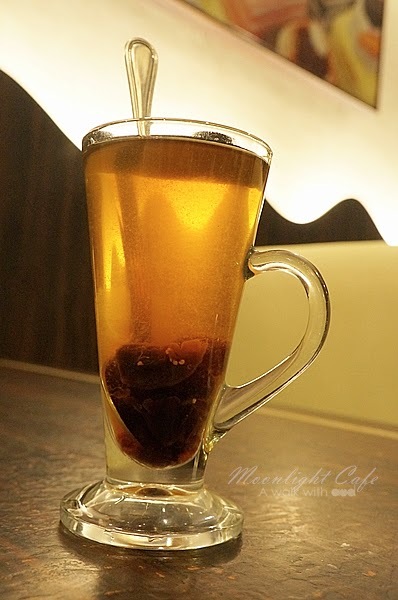 Woman should drink more woflberry tea, it is really good for woman. The food review does not stops here. Coming up next in Part 2 will be their signature- cakes! So do stay tune for the next episode! Ending this post with a collage photos of the night! 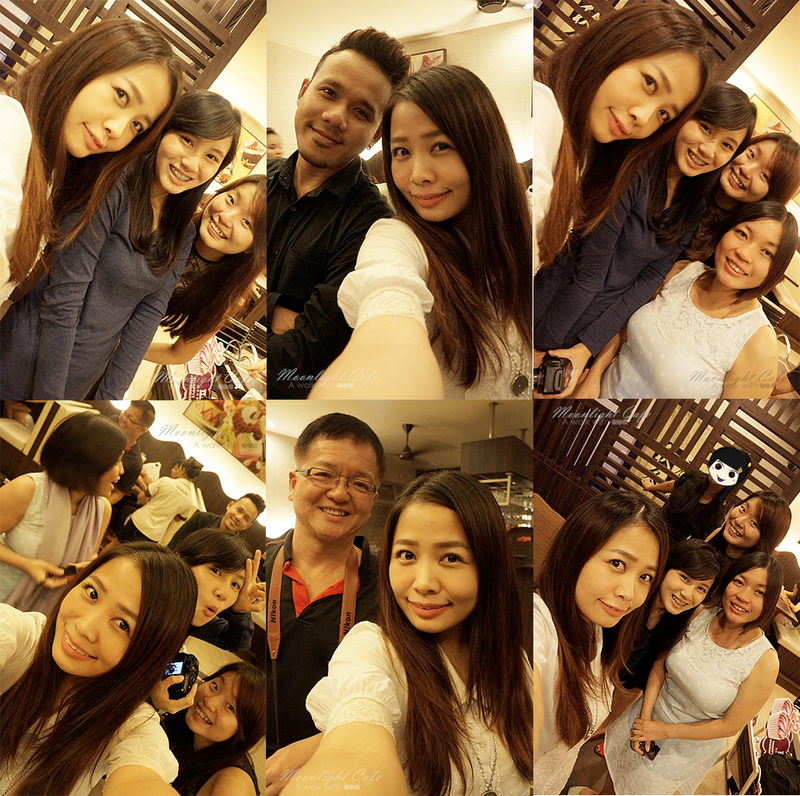 Second row: With Edlyn, Eunice, Kim and Boon Lin (Edlyn being so cute here! )- Oh with the star of the night! 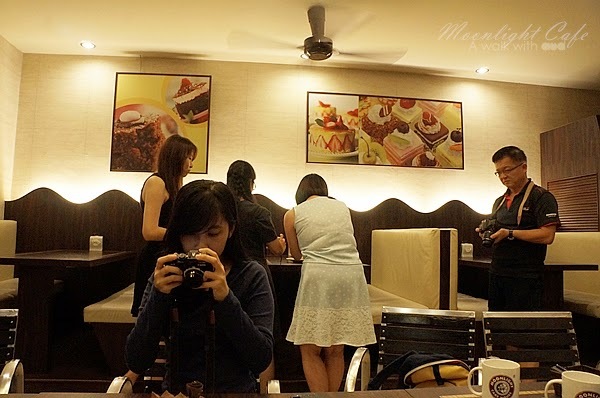 Tony from Johor Kaki!- With the Ma Cherie Johor Bloggers Edlyn, Eunice, Kim and the shy Ler. Just so you know, I nominated you for a Very Inspiring Blogger Award! :) You can see your nomination here.